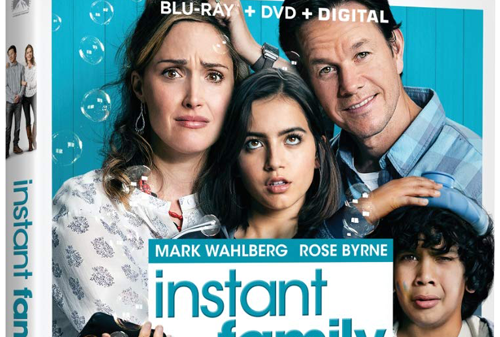 Now on Blu-ray: Mark Wahlberg and Rose Byrne star in the “hilarious and heartwarming” comedy INSTANT FAMILY. Inspired by a true story and Certified Fresh on Rotten Tomatoes, get the film critics are calling “a must see for the whole family and every family.” Get INSTANT FAMILY today on Blu-ray, which includes laugh-out-loud special features with deleted scenes and more! Rated PG-13. From Paramount Pictures.